Fundraiser by Dan Grassetti : HELP Save the Trees! 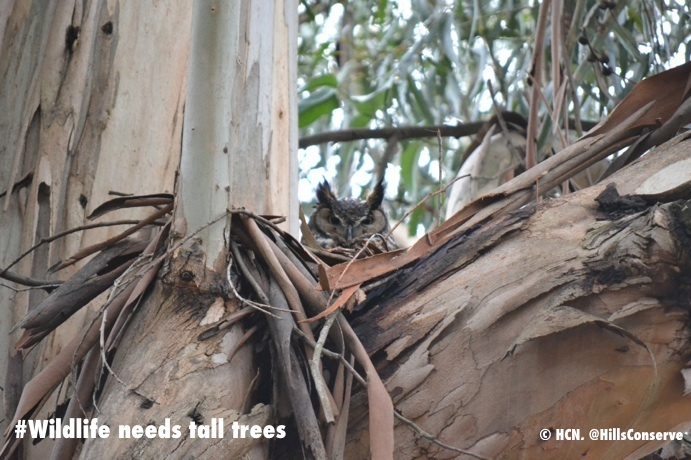 Dedicated to preserving the East Bay's urban forest, the Hills Conservation Network (HCN), a 501c3 non-profit, has been working for years to prevent massive clear-cutting in the Oakland/Berkeley hills. HCN recently filed a lawsuit against FEMA to SAVE the TREES . Your tax deductible donation is urgently needed now to continue the clear-cut fight in court. 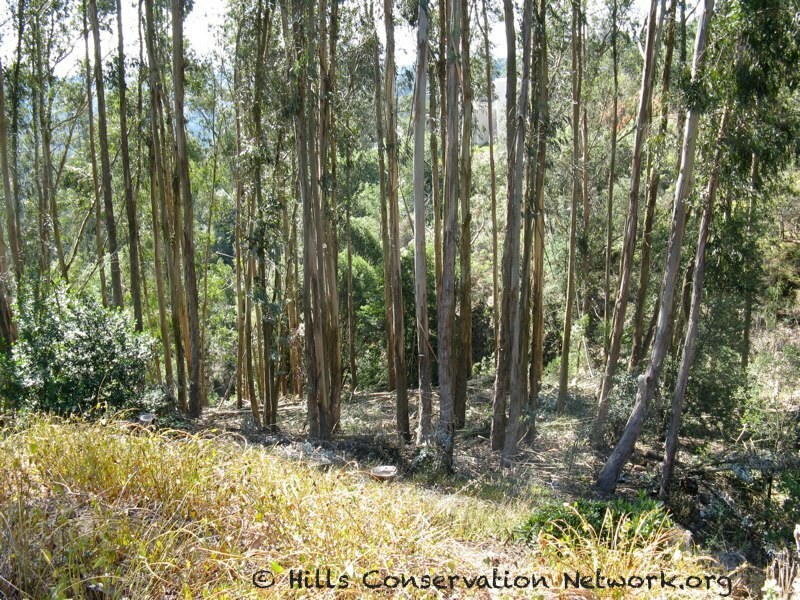 The Hills Conservation Network wants to stop UC Berkeley, the City of Oakland, and East Bay Regional Parks District from using about $6 million taxpayer dollars to ruin the 150-year-old Hills ecosystem, increase the risk of fire and poison the earth. The HCN lawsuit is the ONLY thing that will prevent clear-cutting and environmental catastrophe in the East Bay Hills. FEMA would allow the application of tons of TOXIC herbicide after their clear-cut. In many hill areas, brush and weeds that would grow once the trees are removed will be sprayed year after year until nothing grows there. This toxic runoff would contaminate both our watershed creeks and the San Francisco Bay. If allowed to go forward, the clear-cut plan would DESTROY the ecosystem as it exists today, exposing animals, insects (including bees), young children as well as adults, the earth and waterways to unprecedented amounts of toxic herbicides over a 10 year period. This bad plan could result in landslides, while wiping out the shade and fog drip that decreases fire risk especially during periods of drought. HCN has a well researched plan to prevent fire—thinning the close-packed trees to a number that is fire-safe per acre, saving and maintaining large trees in a healthy ecosystem. This plan would reduce fuel and create fire breaks that would ensure effective fire department response. The truth is--killing up to 486,000 trees would allow fire to rip through the Hills as never before . . . 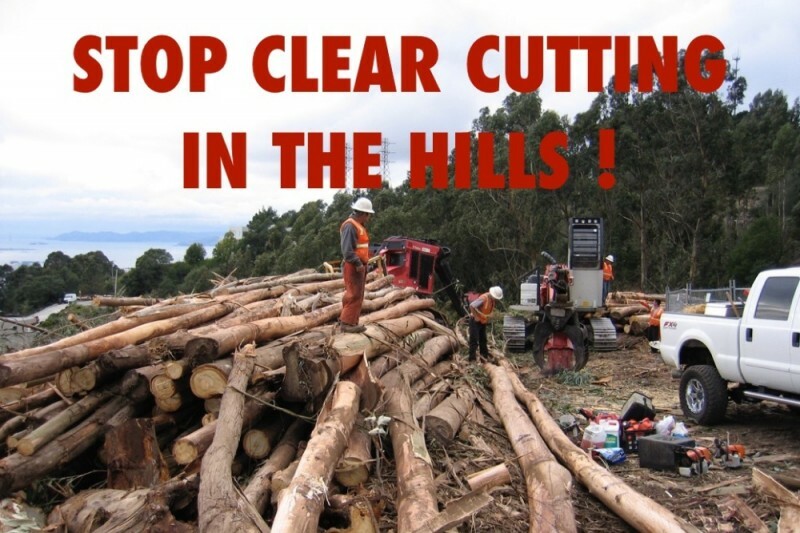 The tax-payer funded clear-cuts are slated to begin in August 2015 and must be stopped! Please HELP save the trees and all the wildlife depending on them by making a donation today. The City of Oakland has released its draft Vegetation Management plan for review. Comments are due by June11. We urge you to make your voice heard. While we are encouraged that Oakland is in fact moving forward with an EIR for this important work, we are concerned that this plan, likely due to intervention by Council Member Dan Kalb, is far too focused on native plant restoration rather than fire risk mitigation....its intended purpose. We encourage you to read the document and submit written comments highlighting the consistent thread that calls for removal of eucalyptus, pines and acacias while not applying the same standard to "native" species. The Oakland Fire Department has released a Draft Vegetation Management Plan (Plan) for city-owned parcels in the Oakland hills to reduce the threat of wildfire. The Draft Plan is accessible for public review and comment during a 30-day comment period that runs from May 11 to June 11, 2018. A hard copy of the Plan can be viewed at Oakland’s Main Public Library, located at 125 14th Street, Oakland, CA 94612. The EBRPD Board will meet this Tuesday the 16th to (among other things) review their plan to put in place a new ballot measure that would reauthorize the Measure CC assessment for another 20 years. This is a hot issue with EBRPD having received extreme pressure (some would say threats) from the Sierra Club to move away from their somewhat moderate vegetation management efforts in favor of radical landscape transformation. This radical landscape transformation would involve large scale deforestation and application of large amounts toxic herbicides for decades to come. It's critically important that the public let EBRPD management know that we're not ok with their bowing to the pressure of the Sierra Club and other nativist factions in order to get support for this funding initiative. If you can please attend Tuesday's meeting where at approximately 1:45 PM this issue will be discussed. This is a case where your voice can have a real impact. Thanks for the update. I have written to the city of Oakland. This is such amazing news!!! I can't believe they actually backed down. Congratulations, and thank you Dan for all of your dedication and hard work!